Transfer Window thoughts, Wilshere’s injury, Arsene banned for two games, Vermaelen to be sidelined for two months? So, it’s been almost five days since the end of the transfer window and the excitement of the dead line day. My one week leave are also over with today being the first day back at work (heck! I could have used another week). The last four days, I spent the time with family and friends away from football, the reason for no updates on the blog. And considering that the International break is underway, I don’t have missed much. Today, it is going to be a bit of everything that has happened in the last few days. First off, the final two days of the transfer window were the best that I remember in terms of signings for us in recent times. Five players having experience and quality were signed, a rare thing at Arsenal, which did somewhat make up for the summer of inactivity. The thrashing at United, however, still hurts and this does lead to the question why weren’t players signed earlier? Also one wonders had United not defeated us the way they did, would these signings be made then? I know these and many other questions have been discussed a lot already. However, one cannot help why were we led into such a situation by the board and management considering we had three months to sort out all our problems? The players that we have signed do bring something extra to the squad and certainly add enough quality and numbers to make us challenge for the top four. Benayoun and Arteta are both Premier League experienced and will greatly improve our midfield. Santos is also experienced and Mertesacker will add height and stability to our defense. Park, considering where he comes from will give nothing short of 100 percent. And all of these signings are winners having won trophies in different capacities (if I am not wrong!) All have a number of caps for their national teams and they certainly will bring stability to our team and the young player will learn a lot. As for what can be achieved with the squad we have, we can challenge for the top four now and maybe end our trophy drought with the cups. If we can pull something extra, we might also be involved in the title race. However, for that, I feel, we will need to maintain a good run till January where we would at least need a couple of special signings. I am hearing that Hazard, Cahill and Yann M’Vila are still our priority. If we can manage that in January, I am certain we are in for an exciting finish to the season. Moving on, I am glad we did get to sell or loan out the dead weights at the club. I still, though, hope we get Henri Lansbury back, because considering such loan moves, mostly the players don’t return. As for Bendtner, I am happy for him to have finally moved on, even on a loan. He was being wasted here by being used in the wrong position. What he said recently of not returning to Arsenal is justified in the sense that he wasn’t properly utilized. However, in terms of quality, we are better off without him. I feel he will be a success at Sunderland which will in return prove beneficial to both him and in return to us, as we can get a better value for him in time. If we could have only rid ourselves of Almunia, Squillaci, Diaby and to an extent Chamakh, this summer would have been close to perfect. Life, however, isn’t that kind, always playing its joke when you least expect it. And in our case they are always the cruelest. After having a great first season, we are now going to miss our most talented player, Jack Wilshere for at least another two to three months due to injury. What started out as a rumor has been confirmed by Wilshere himself. Jack Wilshere tweeted this yesterday on twitter. I can confirm I will be out for around 2-3 months! I am working hard in the gym to stay fit and I am gutted but I will be back stronger! I don’t know whether to blame lady luck, the Manager or our medical staff. This is certainly the result of playing a player over his limits which is completely avoidable. And then we ask why it is that our best players suffer long term injuries? And this has happened so many times now I am starting to believe it is more than bad luck. It was Vermaelen the season before last. Excellent first season, injury in the next, out for a year. I just hope Wilshere doesn’t suffer the same because voices raised now will surely have to be answered then. “The UEFA Appeals Body has rejected the appeal lodged by Arsenal FC and Arsène Wenger against the two-match suspension handed to the manager in the wake of the English club’s UEFA Champions League play-off first leg against Udinese Calcio on 16 August. “Wenger will now be suspended from carrying out his duties at Arsenal’s next two UEFA competition matches – the UEFA Champions League group stage games against Borussia Dortmund and Olympiacos FC on 13 and 28 September – in accordance with the decision taken by the UEFA Control and Disciplinary Body on 22 August. “The manager was awarded this suspension for not abiding by an earlier decision of the Control and Disciplinary Body during the Udinese home game – in which Wenger was serving a one-match ban imposed following Arsenal’s final UEFA Champions League game of last season. As for the International break, it continues in all its boredom. There have, however, been plenty of goals for our players. Van Persie bagged four, Park has had a hat-trick, Ramsey and Lansbury also ended up with goals. Chamberlain also impressed greatly. Possibly a sign of good things to come! That is all for now. Swansea game is not far now and it will great to see how we line up against them. Good times ahead for sure! p.s. While writing this, news about Vermaelen’s ankle surgery are circulating that can rule him out for possibly two months. It is not yet officially confirmed but twitter is abuzz at the moment with this news. More on this to follow! So, more of the same from Arsenal with a different result this weekend. With a makeshift midfield and defense, we started this game very positively but then went into a nut shell. If was Liverpool who created the better ‘half chances’ as we drifted from one end to another, hardly having a shot on goal. Nasri did have a go at goal near the half hour mark, so did Frimpong. Otherwise both the teams lacked creativity. The second half was where things started happening. Kelly rattled the cross bar, Van Persie had a shot saved, Frimpong was then sent off, Suarez came on and tested Szczesny followed by Downing and then the unfortunate own goal, involving Miquel and Ramsey. From there it was always us chasing the game and Liverpool ended it with another goal, the final nail in our already full coffin. There is nothing much to talk from the game so I will come straight to what I feel. First off, this is type a result one is going to end up with by putting youngsters on the field, who hardly have any Premier League experience against a squad that surely means business. The youngster’s fighting spirits will give you hard earned draws and at times an odd win but you will never be sure. What we saw today is prove enough that our young players have all the talent in the word but they need experienced players to guide them. They cannot on their own make us challenge for the title, they need support. And this is where I fear Wenger is wrong. To put so many burdens on players who have hardly played a full game in the League is asking too much and at one point it surely is going to spill over. Look what happened in the case of Fabregas. And on top of that to come out and say that we need to keep patience is not going to go down well. Result and obvious lack of investment aside, the players out there deserve plaudits for giving their all from the first ball to the last. The defense was solid and to have kept the scores level till the last quarter of the game against a fully fit Liverpool squad is proof that we are improving, at least in one area of the field. As for the result, weren’t we expected to lose this one? Yet, we lost only after going a man down and that too by gifting a freak own goal and through some bad refereeing by the lines man. I know these will sound like excuses but it is the reality. Liverpool were ordinary. We had eight first team players missing against a squad that has spent a fortune on players since January, yet, they couldn’t do us any damage with 11 on 11. (There is sure hope!) And looking back, I have a regret that we could have even won this game had our first team played. I don’t even want to go over the players that are out injured or suspended. The Udinese and Manchester game just got a lot tougher for us. Qualification for the Champions League must be, however, the priority. If we fail to qualify, I am afraid, we will have to find another coffin. More on the Udinese game when the time comes. The bottom line is we still need to strengthen despite having many players out injured or suspended because we won’t survive the season playing like this. Before I conclude, apologies are also in line for Nasri who showed he truly is a professional and his commitment is spot on. He was on fire and looked like he cared for the team. Szczesny: (8) He again was commanding and covered his area well. Made some great saves, one each from Carroll, Downing and Suarez. Not at fault for both the goals. Sagna: (7) Shifted from right to left and didn’t put a foot wrong. Offensively didn’t contribute as he was not on his preferred side. Vermaelen: (8.5) Well he surely is a beast. Got his head onto every ball and never gave Carroll or any Liverpool forward space. Led by example and later on tried to revive the team by some forward runs. Caught out of position on the second goal but we were already losing then. Koscielny: (no rating) Unlucky, looked decent before he went off injured. Jenkinson: (7) He looked solid on his preferred flank and he sure is the right cover for Sagna. His crossing was better but as always we had no one attacking them. Frimpong: (7) He really impressed me bar his second tackle that earned him the second yellow. Not afraid to put a foot in and was extremely quick on his feet. Had Liverpool in check till the time he was on. Even had a go at goal from range. As for his temperament and discipline, he needs to keep that in check. Will learn with time surely but I liked what I saw from him today. Ramsey: (4.5) He really disappointed me today. He was slow and didn’t have things going his way. Lost the ball on countless occasions and didn’t give the support I expected from him. Nasri: (6.5) As mentioned above, he deserves some slack after his performance today. Sure he did fade away at the end but we were already stretched to the limits. Made a great run in the first half that ended in shot going just wide. Moved the ball around and even dropped down deep to get it. Arshavin: (4.5) One word, unacceptable! He did try to change things around but nothing was going his way. Ironically, he created the only chance for us. Should have been substituted early in the second half. Van Persie: (5.5) Was isolated and never got any support. Only got one chance and he hit it straight at Reina in the second half just before things started going from bad to worse for us. Walcott: (4) He too was anonymous and below par. He was always surrounded whenever he got the ball though. Lost the ball on countless occasions and made runs that ended in nothing. Miquel: (7) He justified his picking ahead of Squillaci. Comfortable and calm on the ball and read the game well. His positioning was also good. Being involved in the own goal was unfortunate. Lansbury and Bendtner: (no rating) Didn’t have much time to make impact and by that time we had faded. Lansbury had the time to get booked though but liked his attitude. Any two of Jadson, Mata, Hazard will do as Fabregas is off!, Eboue on his way | Joel Campbell in London! Finally, the inevitable has come to pass, the Fabregas saga after almost three years has come to an end with Barcelona and Cesc having their way in the end. Like all Gooners, I am relieved that it is over. Yet, I cannot emphasize that he we have lost a great player, a talent like him is very rarely found. Nonetheless, as the saying goes ‘no player is bigger than the club’. Fabregas leaves, just like many left before him, Arsenal was, is and still be here. I wish him the best of luck at Barcelona. My gripe, one of two, is we didn’t sell him for what he is worth and secondly the timing isn’t right. If we knew he was not going to stay, the door should have been shown to him back in May. We have let it run for far too long and now suddenly with 15 days to end of the window, we are without our, I am afraid to say, backbone. As for the price, we are getting what was paid for Carroll! It is outrageous and I am amazed how the club agreed to it ( I am gutted, still nothing can be done now). The details of the deal are here. Moving on, the immediate concern now should be to find the perfect replacement for him. One who can do a job straight away. And as Nasri also seems to be on his way out, a replacement for both should be a priority. The rumor in the blogosphere is that we are considering Jadson as replacement for him. I have expressed my views on him here. Again, If he can do the job in 10 million, I am up for it. He alone, still won’t be enough. There is also word on the street that Mata talks were to be opened if Fabregas was to depart. I hope they do start. Wenger recently revealed that we won’t be buying Mata and he didn’t give any reason. However, he said the same about Jadson and even said that Fabregas and Nasri won’t be leaving! I am keeping my fingers crossed that we will open talks and eventually buy him. Personally, I would Like Mata to come. He is young, he is talented, he has pace, he has potential and he will adjust nicely to our style. With him and Jadson partnered with Wilshere and Ramsey, we can be a force to reckon with. Don’t forget we will be having Gervinho, Miyaichi, Walcott, Chamberlain and Arshavin on the wings. Honestly, I can already feel the excitement right now. The other potential replacements are Eden hazard, I would love him too. We have been linked with him for a long time. This summer it looked like we will finally get him. Somehow the rumors have gone quiet. With Fabregas gone, I am sure they will surface again. Then there is Yoann Gourcuf. Last summer we were continuously linked with him. We never got him though. Even Chamakh has urged Wenger to buy him, may be that will bring the striker out in Chamakh, gone missing since December last year. Javi Martinez, a 22-year-old, making waves at Athletic Bilbao is another option. Marvin Martin is another one who is making his name in France. There are so many options and all are quality. I just hope Wenger finds the right player and doesn’t use the excuse of not finding the right man. For me, it will be great if we can sign any two of Mata, Jadson or Hazard. It is all in addition to Gary Cahill and, if we can, a striker. That makes a total a four signings. We have the money, so it all depends on Wenger now! I will keep my fingers crossed till the end of August. No official word so far has been released by Arsenal though. However, Eboue has no squad number at Arsenal. Personally, I am glad that he is moving on. He was what you would call a squad player and even not great at it. He also didn’t seem like improving. No doubt, he had his fair share of good performances, he won’t be missed on the field. I can’t say anything about the dressing room though. This move will be good for both the club and his career. After all, he wasn’t going to get much playing time with Jerkinson in the squad. There are also reports that Joel Campbell flew into London last night to finalize his switch to Arsenal, a deal worth almost a million pounds (930,000). Young Guns Blog has all the details here. That is all for now. Udinese game is up next, and we need to win this one. Wenger will do his best to keep Nasri and Fabregas, Juan Mata linked!, Benzema rumor surfaces again!, Denilson to Villareal? After venting my anger a couple of days back, I am back to myself again. However, I do stand by that we need to strengthen the team and sort it out quickly. With pre-season matches just round the corner, all focus needs to be diverted towards getting ready for next season. Transfer rumors do hinder a teams performance, no matter how hard one denies it. We have until end of August to buy players, however, the speculations surrounding few of our players needs to be quickly addressed. Only then the negativity that is emanating from all corners of the blogosphere is going to stop. A couple of signings now will also be great! First and foremost, Nasri’s situation needs to be solved. It should have been sorted out by now as everyday it gets more annoying. Dragging it on is only making things worse for us. If Nasri really wants to leave, for whatever reason, he must be sold to the highest bidder and as quickly as possible. Manu has already enquired about him. Reports of an offer, official or unofficial from United, for Nasri has also been reported. Even though we have denied it, there might be some truth to it. There were also rumors of Man City claiming that they are close to acquiring him, which I don’t believe. With Chelsea also in the mix, we can have a bidding war which can only be good for us, if we get to a point where selling is the only option. The money received should then be spent to acquire a top replacement. If he doesn’t want to leave, he must sign the contract quickly, Arsenal must announce it so that we may get on with our preparation for the season. I know Wenger will try his best, but then, we did lose Clichy. So, you can’t do anything if a player wants to leave, which is the bitter truth in modern football. Allowing Nasri to run out his contract is going to be more costly to us than letting him go this season. A contract must, therefore, be signed this summer or else he must be shown the door. I am just hoping for him to commit to Arsenal quickly. All this, as I said before, need to be done without more delay. We cannot wait till September for Nasri to make a decision! One announcement that we have all been waiting for is Gervinho’s unveiling. He is likely going to be declared an Arsenal player any day now. According to many reports he was in London for his medical on Wednesday, which was successful. The Daily Mail has gone on to add that only a small problem in the paper work has delayed the announcement. Better late than never, in my opinion. I am really looking forward to seeing him play in the pre-season. With so much being said about him in the press, I am certain that he will turn out to be a great player for us. As for the recent rumors linking us to Juan Mata and Karim Benzema, they are great, I am more than certain that they are only rumors. With Gervinho arriving, I don’t see Wenger going for another forward. Mata might be an option only if we lose one of Fabregas or Nasri. I am more interested in Hazard though. He, alongside Nasri and Fabregas, with van Persie ahead will be perfect! I know, sometimes it’s great to live in fantasy! I feel, by now, Barcelona should have realized that we won’t accept an offer less than what Fabregas is worth. Also, Fabregas should realize that Barcelona don’t really value him. He needs to stick with Arsenal, get over his injury and lead us to trophies. I am certain that this saga is going to continue till the end of the transfer window with Fabregas staying at Arsenal! I have my fingers crossed. Before I conclude, I got excited about the news linking Denilson to Villareal. However, I haven’t seen any follow up to the story. So, I am guessing that it was another false rumor and we will be seeing him around the Arsenal squad a bit more. I am starting to wonder if anyone will ever ever buy him!! Weren’t we supposed to strengthen the team? We need a replacement for Clichy, Alex Song is charged with assault! This summer was supposed to be about building up the team by keeping our best players and strengthening it where necessary. Ever since the season has gotten over, we have been waiting for quality players to arrive and also at the departures of the dross that we have at our club. Arsene himself made it clear that his priority will be to keep the best players and strengthen the squad! At the moment, we haven’t achieved any of the above. In fact, we have gone a step back than where we were last season! The start to the summer looked quite promising. The news coming in was positive and we did sign a couple of youngsters and a right back. The good thing was that we showed signs in making changes. The other good thing was that clubs were coming in for our dross players (later revealed to be false news as the mentioned clubs denied the links). There were also stories about Nasri and Clichy departing with the Fabregas saga commencing from where it had stopped last summer. Cahill, Samba, Hazard, Gervinho, Alvarez were the name of few players being linked with us constantly. And it seemed inevitable that one of them will be announced as our new signing. Some reports even went onto claim that on first July we will be announcing at least three players. The disappointing reports about three of our player’s departure continued. I wasn’t concerned about Fabregas! Nasri’s situation was alarming! The worrying thing, however, was that of Clichy’s exit. I have been saying all along that the most important player to hold onto would be Clichy! And I was relieved when, last Sunday, Arsene said that talks have started in order to make him stay. First July came and went. I had hoped that I will be writing about our new signings but they never materialized. Four days later the thing that I feared the most did come to pass. The one position, where we had no cover is now exposed more than ever. Clichy’s departure to City may seem ironic in face of what he himself said at Adebayor’s move, however, that should not be our concern. The worrying thing is that our own players don’t want to stay. The player that was part of the first generation of project youth has abandoned that project to achieve success! The team that he chose was none other than City, one of our main rivals who overtook us in the league last season! The team that won’t sell its own players to clubs that challenge for the title! And then Arsene says that Nasri won’t go to any other Premier League cub! What impression of Arsenal is this going to leave on the rest of the football world? And as things are going, I don’t see anyone wanting to come to Arsenal except youngsters. As they can leave when developed! And no one wants our dross! Denilson is to join the team for pre-season according to his agent as there are no buyers! Where does this leave us? In dire need of a left back, for one, who can easily come in and replace Clichy. Gibbs is no where ready; Traore is not better than Clichy. Who are our options then? Leighton Baines! Who else? Arsene will have a hard time in finding a replacement and that will only be the case if Wenger does indeed look for one. The thing that is giving me the creeps is if we get no one and Gibbs starts the season as a first choice left back. I have nothing against Gibbs. It is only that he is not ready yet. In fact I don’t see him as a defender at the moment. His positioning is wrong along and his decision making is poor. Up front he is somewhat better but that also needs lots of work. He requires at least one more season to fully develop. I wouldn’t have been concerned much with this departure if we had a readymade replacement. Now not only are we a player down but also in a very dangerous position. The price tag of all left backs is going to shoot up which will lead to only one end result that we have witnessed in recent summers! Which I desperately hope is the not the case this time. This transfer also opens many other doors. Will Nasri and Fabregas consider this the key to their own departures! Nasri’s new comments aren’t encouraging! Will this departure give them the hope that they can move out and Arsenal won’t be able to do anything? Or will Arsene do more to keep Nasri and Fabregas? Replacing three players will be a hard task when you also need to strengthening other positions! Will experienced players ever want to come to Arsenal? Will this move make other player want to leave? There are already rumors of Walcott and van Persie wanting to leave! Things certainly aren’t looking good for us at the moment no matter how hard one tries to convince himself. As for strengthening the squad, Arsene now is the time! I had hoped last Sunday that the next time I will be writing when we sign a player. Well, we haven’t even made a bid for Cahill yet! Samba rumors have gone quiet. I don’t know what’s wrong with Gervinho’s signing. Alvarez’ deal has been rumored to be hijacked by Inter while Hazard is staying at Lille. That leave us with Chamberlain and according to Southampton we haven’t approached them. What have we been doing for the last one-and-a-half month? Only Arsene and the people at Arsenal can tell us the answer. Meanwhile our troubles don’t end here. There are reports that Alex Song faces up to two years in jail if found guilty of an assault charge. It is being reported that his guards were mainly involved and a hearing is set for in August. Losing Alex Song like this will be catastrophe! But frankly speaking I don’t see it happening. Although, everything points to a disaster, I haven’t given up! I am still hoping that one of these days we will make our moves. Clichy’s departure isn’t a good start but maybe this will urge Wenger to make quick changes that are necessary. After all this might be Wenger’s last chance to make a difference! With this I will end for now. After lots of travelling in the last week I am back now and hopefully will be updating the blog regularly! Apologies for not being able to post anything in the last week! Have a good day! Goodbye Nicklas Bendtner and welcome Eden Hazard! 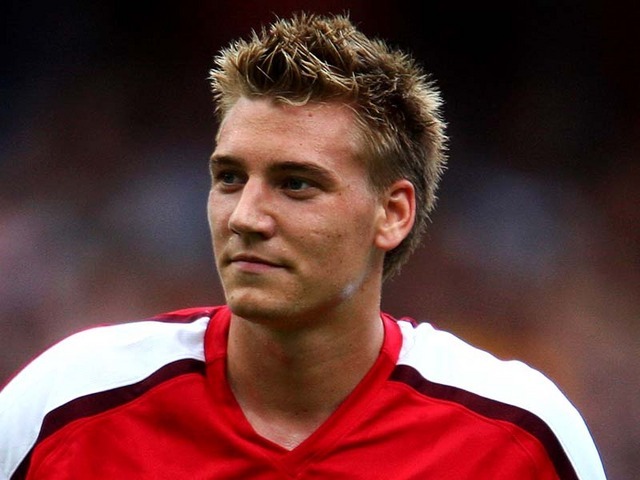 Nicklas Bendtner made it clear at the start of this month that he wants to leave Arsenal hundred percent. It now seems that he may have his wish as Besiktas have made an approach for him. It is being reported that Besiktas will be making a 10 million offer for the Danish front man this week. However, Inter Milan is also in the mix, as they have shown interest in him. If both the clubs are involved, we may after all get a good price for the Dane. What then matters is where Bendtner wants to go and hopefully he will decide very soon. Personally I feel that 10 million is a great deal. At least we will get the money for buying Samba. And with him gone we may get room for signing a striker who is in-league with Robin van Persie. In other news, we have stepped up our pursuit of Lille’s young winger, Eden Hazard and there are reports that we are going to bid for him this week. With everyone having their eyes on Nasri’s situation, it’s about time we secured one of our long term targets before other clubs seize him. Eden hazard, widely recognized as the one of the best young talents is in sight of many clubs which now also includes Barcelona. At Arsenal, many see him currently as a possible replacement for Nasri, if he decides to leave. However, I would want him to come to Arsenal even if Nasri stays. The question that remains is will Arsene Wenger offer the £25-30 million price set on him? I guess that Wenger will this time because you rarely find talents like him. Below is an excerpt from an article written in The National about him. His is the kind of pace which terrifies: quick changes of direction, instant acceleration, continuous movement. Coupled with the athletic gifts is a sublime technique. Hazard has the kind of ball control which cannot be taught, the type you see in video games, ball stuck to his foot. His passing is accurate, his vision is improving. What’s more, he is unselfish. So sound are his fundamentals that he will often pass up a shot to find a better placed teammate, a legacy of what he was taught as a child. After reading the above, tell me if he wouldn’t fit at Arsenal!? 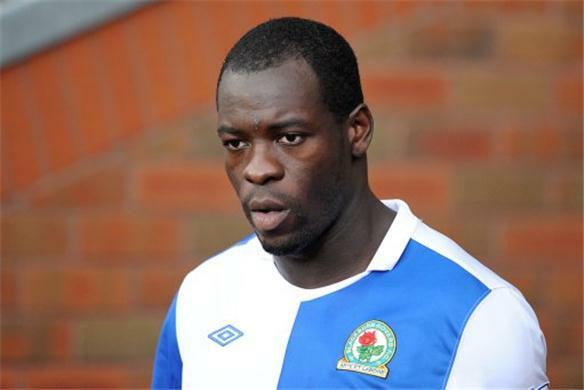 After losing Phil Jones to United and with Man City looking to seize Gary Cahill, the latest name for whom we have stepped our pursuit to sign is Blackburn’s defender, Christopher Samba. We were linked with him in January before he extended his contract to be tied down with Blackburn till 2014/15. It seems now that he is a top target for us after Gary Cahill. Standing at 6’4”, he will surely solve our problem of lack of height at the back. He is strong and had a pretty good season with Blackburn having single handedly controlled their defense. He has been in the Premier League for a while now so experience may not be an issue. Steve Stammers in the Mirror this morning has also said that Wenger will be looking to bring in Samba to add muscle and power to the centre of defense. With a value in the region of £10 million he might be a bargain considering the prices of defenders in the EPL these days. I would prefer Cahill over him at any time but considering City is in the mix, we will never be able to match them with the money they will offer Cahill. We do need a defender though and if not Cahill then Samba might be a good option. After all Wenger did admit he will be looking for height this summer. Keep your fingers crossed! !